Providing Fine Art Imagery of your precious Newborns ... making today's special moments into tomorrow's wonderful memories. Debbie is professionally trained in the safe handling and posing of newborns and has over 15 years of experience with caring for young babies. 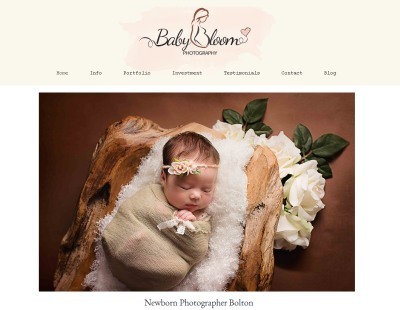 BabyBloom strives to create unique timeless pieces of imagery of your special tiny ones for you to cherish for a lifetime. Sessions are held within her purpose built home studio producing a relaxed, homely & welcoming atmosphere.